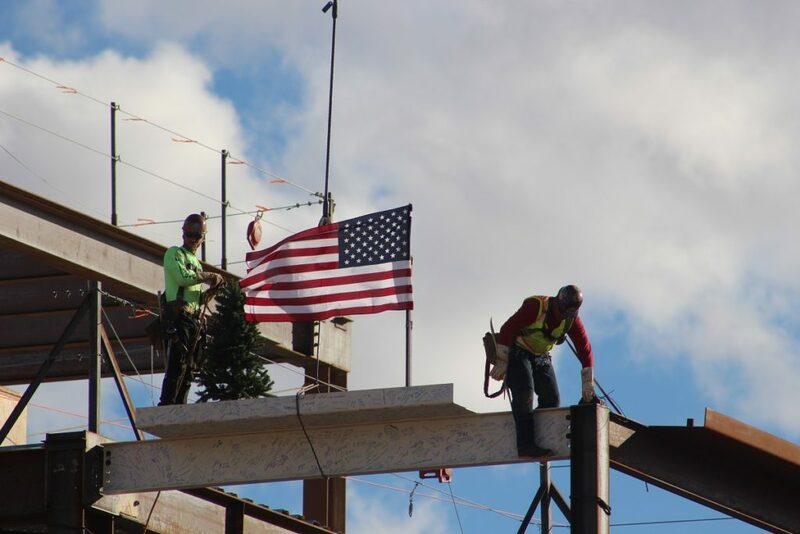 ST. GEORGE — A significant achievement was celebrated Wednesday as the final steel beam was signed and hoisted into place on the two-tower expansion of Dixie Regional Medical Center, the largest building project in Washington County’s history. 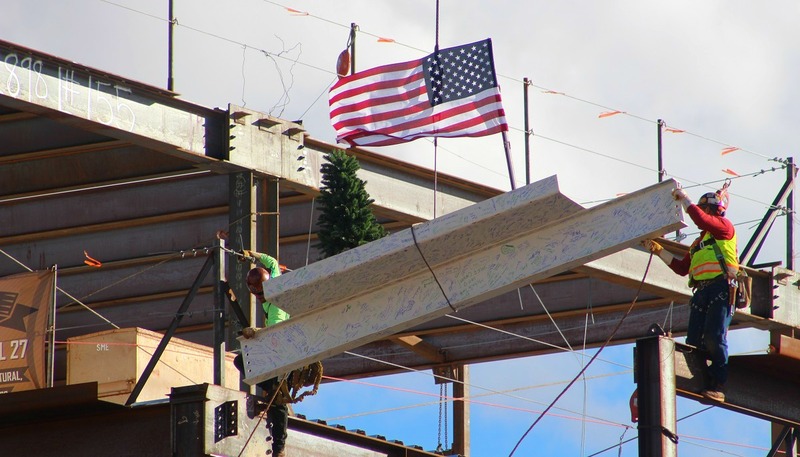 Resting on top of the beam was an evergreen tree symbolizing continued growth and good luck while honoring those who erected the iron structure. 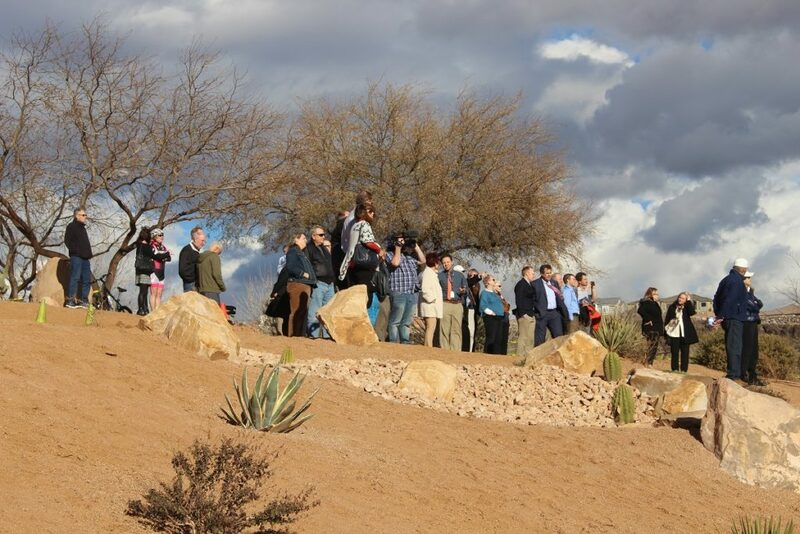 At 2:30 p.m. a group of nearly 50 people gathered at the northwest corner of Dixie Regional Medical Center’s River Road Campus to celebrate completion of the steel framework of the two towers that connect to the hospital. The event signaled the completion of a critical phase in Intermountain Healthcare’s expansion project. 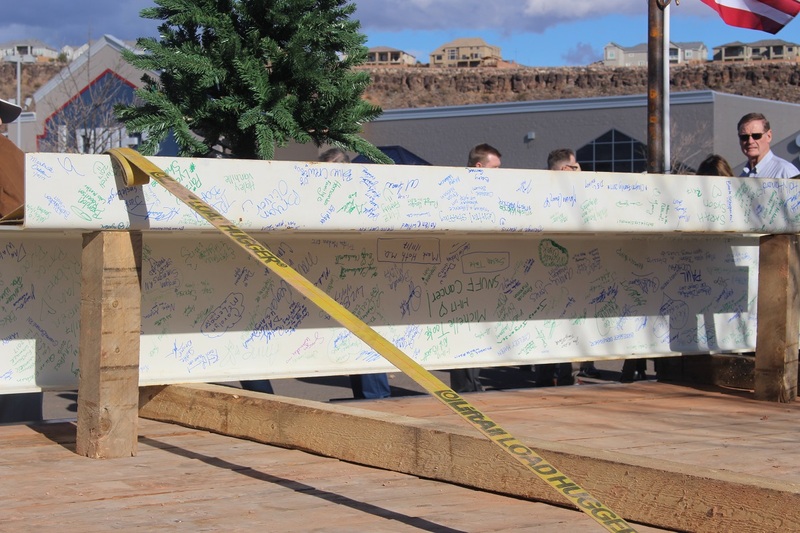 The ceremony provided an opportunity for the public, employees, patients and community members to join together to write their names on the final beam or to “put their name on the hospital,” as St. George Mayor Jon Pike said. 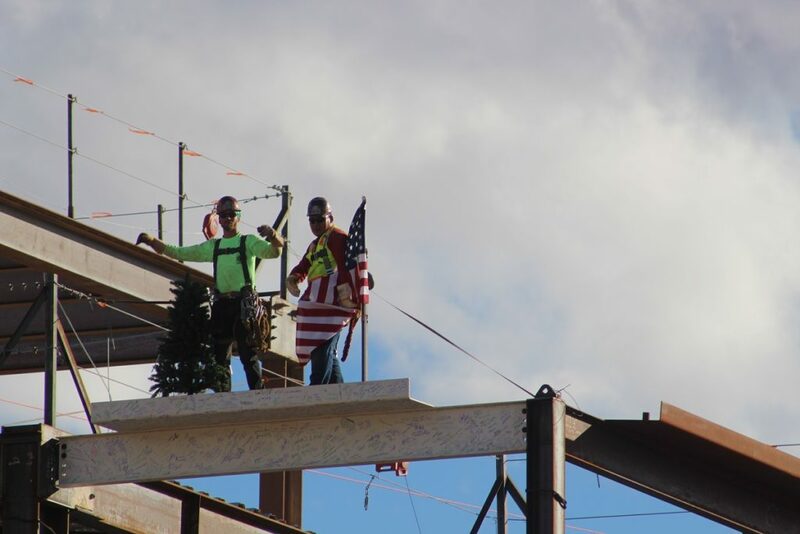 The piece of steel was painted white and signed by the ironworkers and those in attendance, a “topping out” tradition that can be traced back to the 14th century in England, and even earlier by some accounts, senior project manager David Power with Suffolk Construction said. Intermountain Healthcare’s $300 million expansion project began five years ago. It features two towers, including a four-level tower west of the existing hospital’s emergency room entrance that will extend labor and delivery services, including a state of the art neonatal intensive care unit. The 28-bed maternity unit will include new technology and modern advancements for efficiency and comfort, including family-oriented amenities such as pull-out beds for overnight stays. The second four-story tower will provide space for the adult ICU patients, pediatric and neurological services, as well as additional operating rooms and space for emergency-related care. The new towers will add more than 400,000 square feet to the facility, including 75 new hospital beds. The expansion project, once completed, doubles the size of the hospital’s facilities. In addition to the new towers, an 80,000-square-foot facility will be constructed near the River Road towers to house cancer care and research. Construction on the new cancer treatment and research facility is slated to begin next month, Pike said. Another benefit to the expansion project is that it connects numerous services and disciplines together into one facility, as opposed to having two separate campuses and other off-site service providers located in various locations. “To have everyone contiguous to one another, to be able to network together and to have everyone immediately respond is so much better for our patients,” Terri Kane, vice president of Intermountain Healthcare’s Southwest Region and CEO of Dixie Regional Medical Center, said. Dixie Regional Medical Center is part of a five county service region that includes Beaver, Garfield, Iron, Kane and Washington counties, but that coverage is also extended into parts of Arizona and Nevada as well, Pike said, so the hospital actually covers a 200-mile radius. 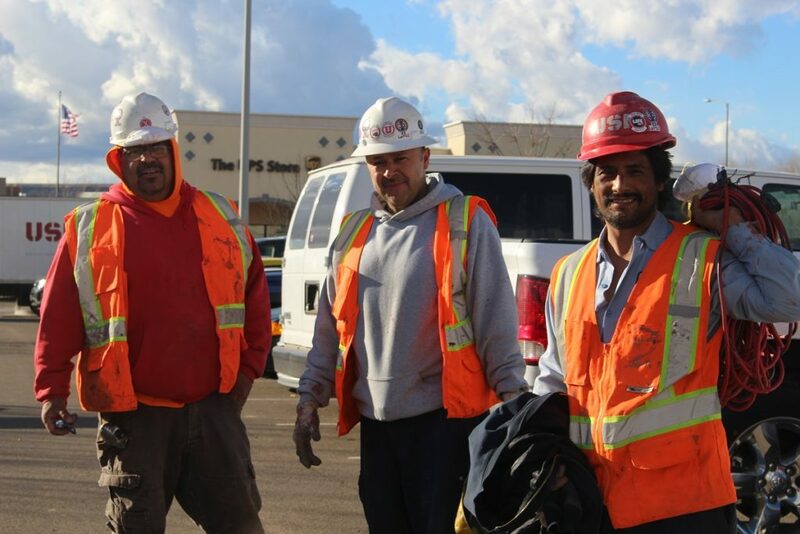 Pike also said that Intermountain Healthcare hosts a “Topping Off” ceremony at all of its building projects, which is a way for the community to celebrate a milestone in the construction process and to be a part of it. Community involvement is an integral part of this expansion, Brooks said. 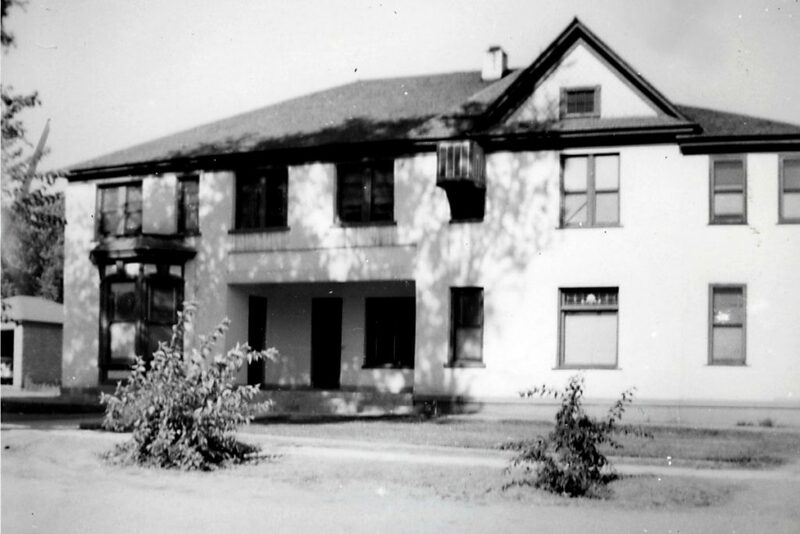 The first hospital built in St. George was in 1913 in a two-story home owned by the McGregor family located at 35 S. 100 East in St. George. In 1952, Dixie Pioneer Memorial Hospital was opened where Dixie Regional’s 400 East Campus is now located. In 1990 the facility was renamed Dixie Regional Medical Center, and in 2003 a second campus was opened on River Road, advancing health care such as acute rehabilitation, newborn intensive care and open heart surgery to the tri-state region. In 2009 the Dixie Regional Health and Performance Center opened, followed by the Southern Utah Neurosciences Institute which opened on the hospital’s 100th anniversary in 2013. Dixie Regional’s latest health care facility is slated to open in 2018. “It just continues the high quality services that we’re used to in this area,” Pike said.